I haven’t been posting much lately, because I have been busy with a big project. 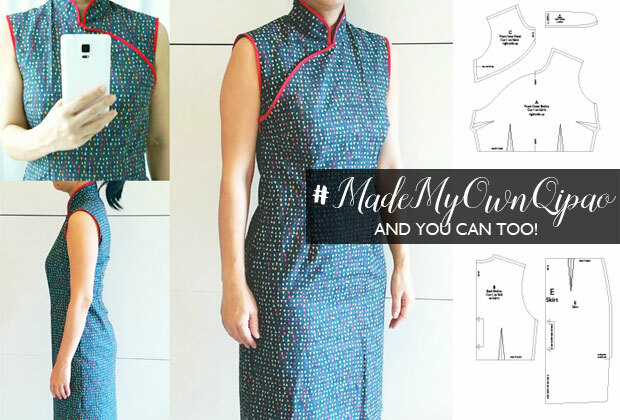 Ever since I launched my first Qipao pattern and sew along in 2014, I’ve been asked many times to add on more size options, sleeves and detailed instructions on how to do the back opening instead of the standard side opening. I have always wanted to make a full set of patterns since I make this every year and have to keep upsizing as my girls grow, but doing a proper sewing pattern is really time consuming and it’s almost like writing my thesis all over again! Except that this is a lot more interesting than my thesis. Anyway, I have finally done it and I will be launching this pattern soon as my first pattern for my new pattern shop called PorcupinePatterns! The website is still under construction but I will add the links to it later. 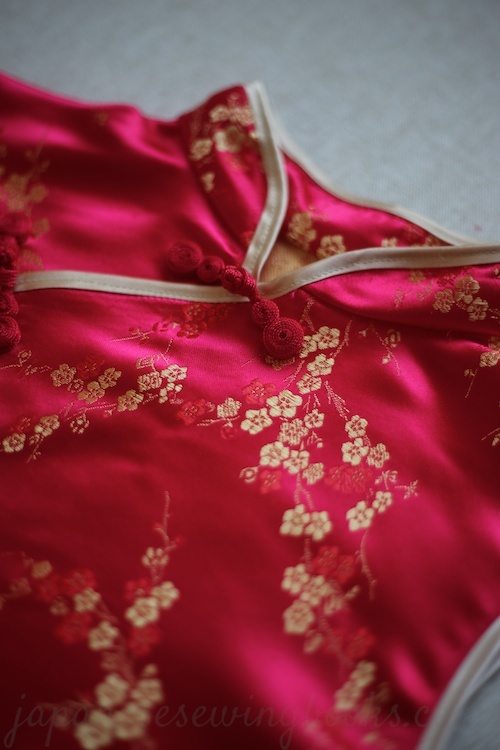 So what’s new with this version of the Girl’s Qipao? The original free pattern was 4 sizes only and there was only a sleeveless option in the straight cut style. This new improved version will include a sleeved option, two styles – the more traditional straight style with side slits and ends below the knee, as well as a new A-line style which is is shorter and cuter. The sleeve options include short/long (not shown in the diagram below but it’s just a long sleeve)/cap and frill sleeves. The dress in the image above is a A-line with frill sleeve. The collar has also been made lower so that the younger kids won’t find it restrictive. 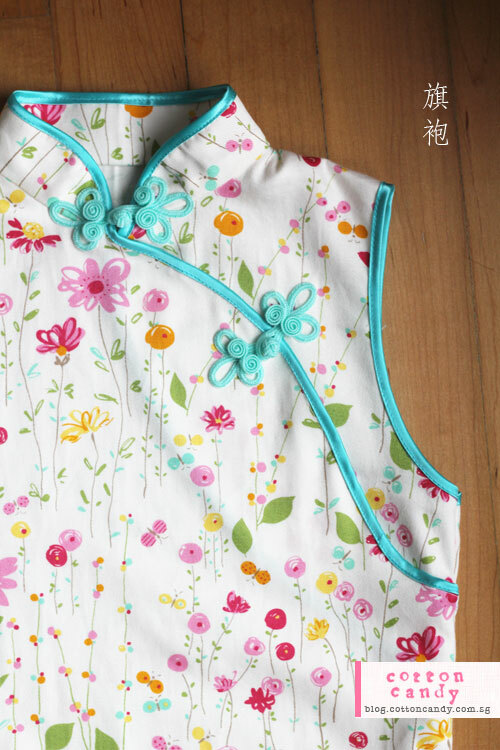 There are also full detailed step by step instructions for how to make both the side opening style (which means a side zip and the front flap is secured with decorative buttons and metal snaps), or the back zip opening style. This pattern will be launched in mid December (barring any major revisions of course) in time for the Chinese new year sewing season, on my new pattern shop Porcupine Patterns! I already have more patterns lined up for ladies and kids as well. Hoping to do some boy patterns too. Since this will be a full version pattern, I am looking for pattern testers to help me test the patterns. 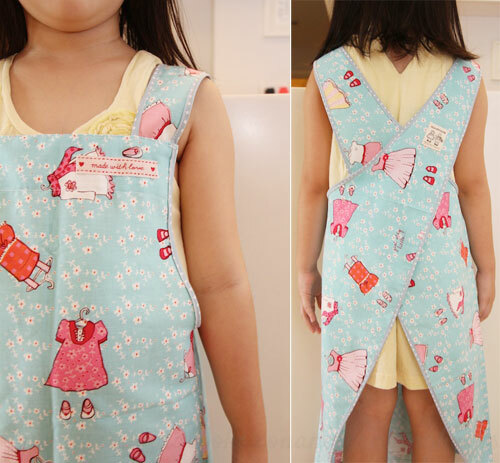 Don’t worry if you are a beginner and just starting to make garments. I will consider all entries carefully as I do need to know if my patterns are easy for beginners as well as advanced sewists. The only requirement is that you will be able to stick to the timeline and submit your photos and feedback on time. Interested? These are the sizes I need testing for. This tester call will last for 3 days (17th-19th) and the testing period is from 20th (Mon)-1st Dec (Fri). I will notify all the successful applicants by email and send them the test files by Monday morning. Interested?